The smartest step towards achieving your goals? Implementing a solid strategy that paves your way to reaching them: a plan for personal and professional success. Formulating and monitoring a balanced strategic plan can be overwhelming – which is why we’ve created this two-page strategic plan document to help you along your way. 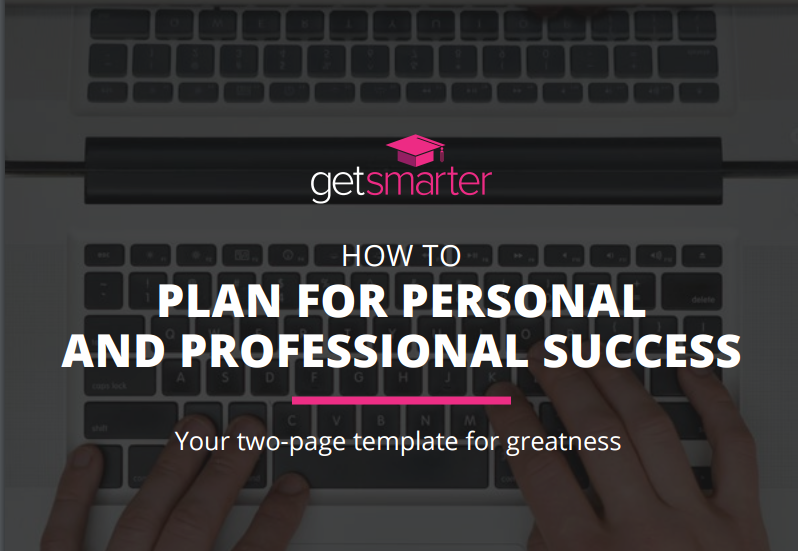 Download your two-page template for greatness, and get ready to achieve your aspirations with renewed focus. Does your strategy for professional success require you to develop a skill or update your current knowledge? Keep the personal-professional balance with the flexible hours afforded by an online short course from a top-tier university. Find out what course is right for you by browsing our extensive course portfolio.